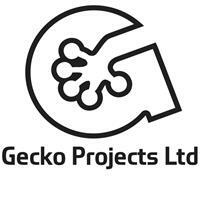 Gecko Projects - Builder, Driveways/Patios/Paths based in Bursledon, Hampshire. We are a family run business based in the Southampton (Hamble) area and our back ground is old school builders & landscaping and have been running since 2002. We are happy to carry out your next project from small house alterations to extensions including new driveways or patios to make your house your home. We are your local specialist for Resin Bound drives, paths or patios as well as decorative stone drives or block paving and are happy to just give advice even if we are not doing the job for you.